Atlantis Season Two Premieres Day and Date With UK! 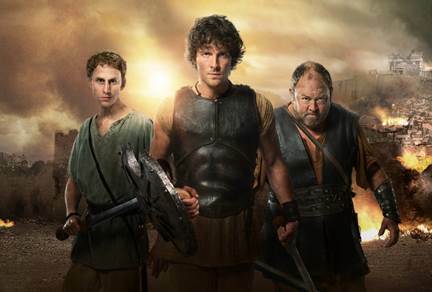 BBC America has announced that season two of its action/fantasy hit Atlantis will open day and date with the UK broadcast on Saturday, November 15th (9/8C), as part of its Supernatural Saturday bloc. The series follows the adventures of Jason, a man from the present, who finds himself in the ancient city-state of Atlantis. The series is a heady mix of Greek myth, epic fantasy and action. Follow the jump for more details.